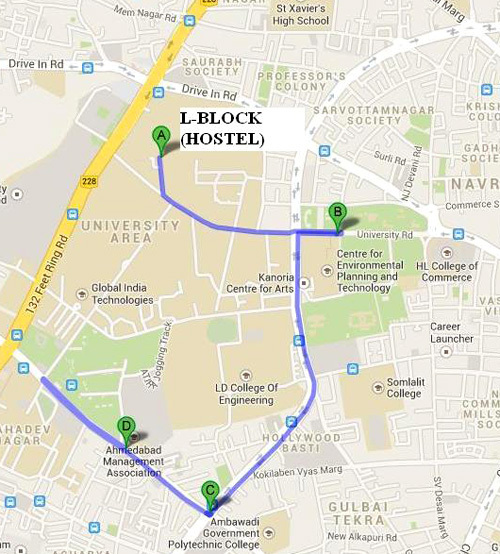 COMAD-2013 has arranged for complementary hostel facility on sharing basis to first 50 student registration , for their stay during 18-19-20-21-22 Dec 2013 at Ahmedabad, against confirmation ofregistration. 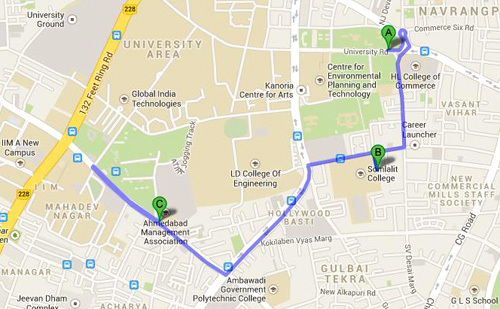 These hostels are located in the western part of the city known as Navrangpura and which are near to venue of the conference. Send your travel plan with following details to Mr. Nimay Desai (email: desai.nimay@gmail.com; M: 9898271424) who is coordinating hostel arrangements. (4) Names of delegates: with registration number. You can take an Auto Rikshaw and pay as per meter. At airport, pre-paid taxis are available. You may also call MERU Cabs on 079- 4422 4422 or Apple cabs on 079-49004900. Travel : For local travel, you can take an Auto Rikshaw and pay as per meter. At airport, pre-paid taxis are available.